The Bright Starts Playful Parade Door Jumper opens the door to fun and marches playtime right in! Your silly kiddo will jump straight into a fit of giggles during this bouncing bonanza. Wherever you go, the jumper fits right into almost every doorway and stays right in your sight. Heading to grandma’s? Moving to another room? The lightweight frame is easy to remove and take on-the-go, whether that’s down the hall or across the country. Watch your baby wiggle and giggle with plenty of room to move around and stretch those little legs. The jumper is made for more playful moments, and the attached Taggies tags add an extra dose of entertainment. You’ll be amazed how your baby is drawn to those little fabric tabs. Tiny hands love to grab, tug and play with the colorful Taggies tags! 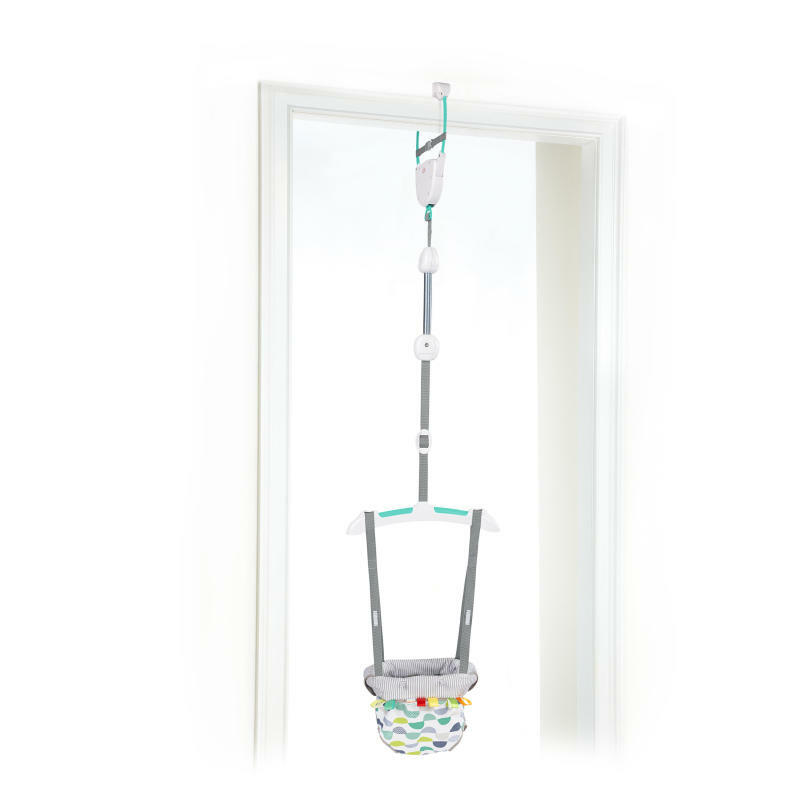 As your bouncing baby grows, adjust the straps to keep him snug and secure. Clamp and go — no tools required!